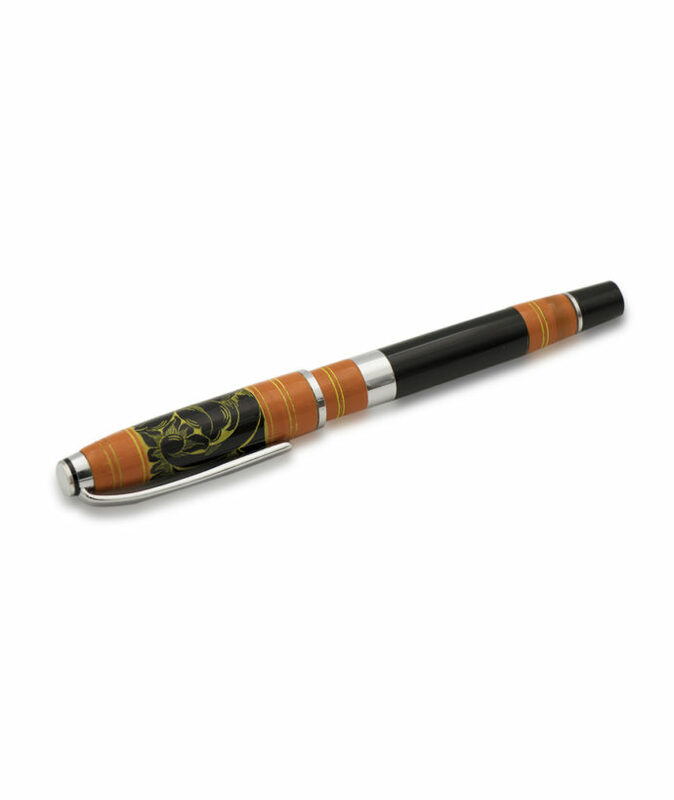 Pen designs just got a lot more interesting with this Orange is the new Black feel. 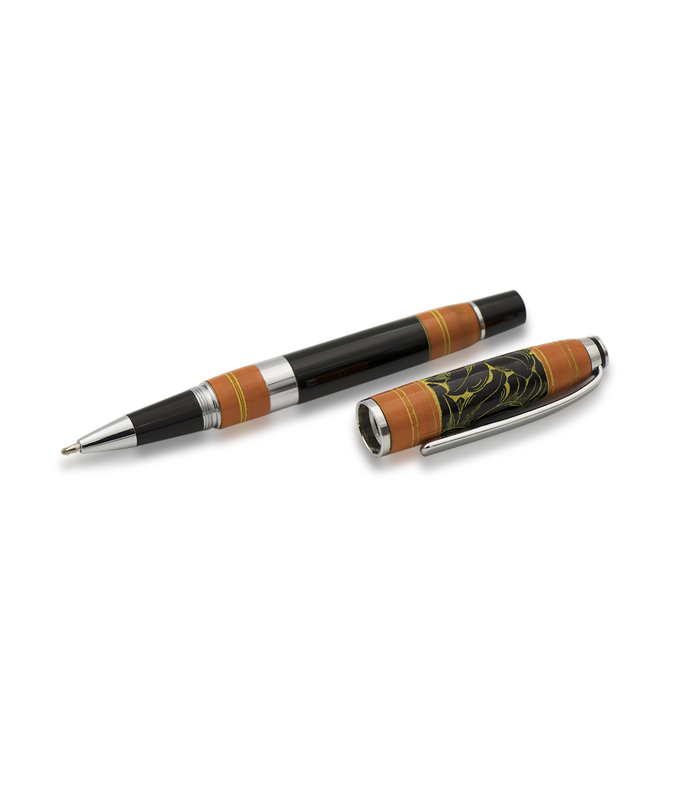 The Premier Lacquered Orange combines Orange and Black and tops it off with a lacquered finish to make a pen that is stylish and appealing. The oddly satisfying match up is guaranteed to bring a different feel to your everyday experience. 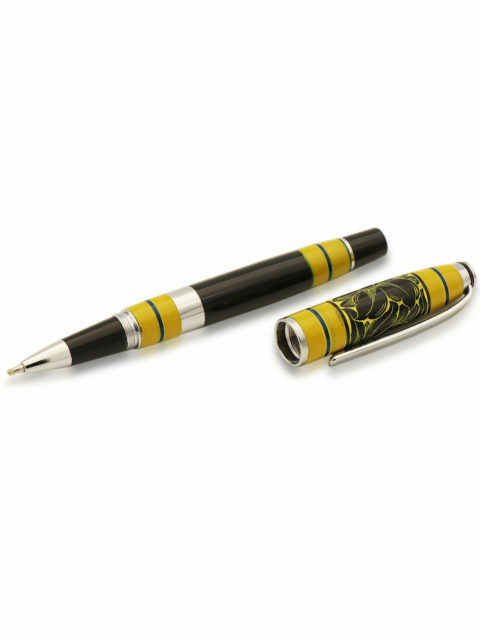 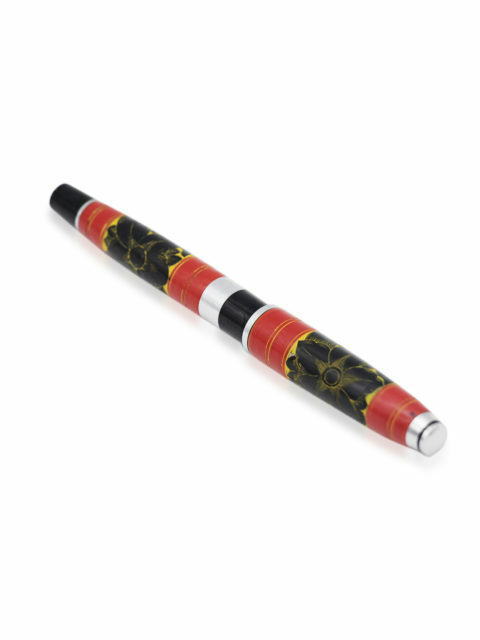 Alternating bands of orange and black complemented with thin tracings of yellow make for quite the captivating and exciting design of this pen. 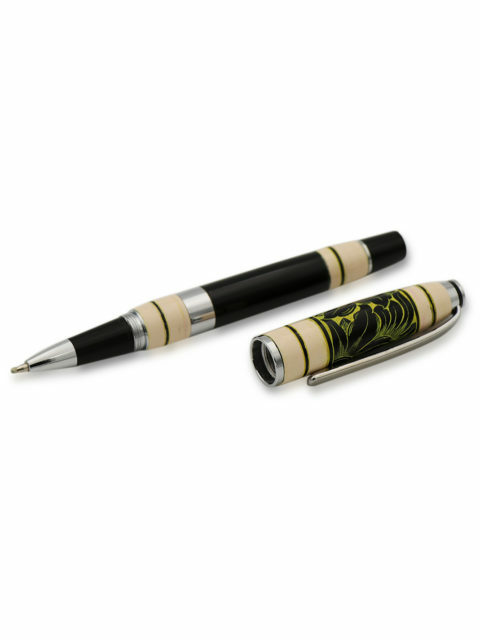 The silver bands further enhance its unique appeal. 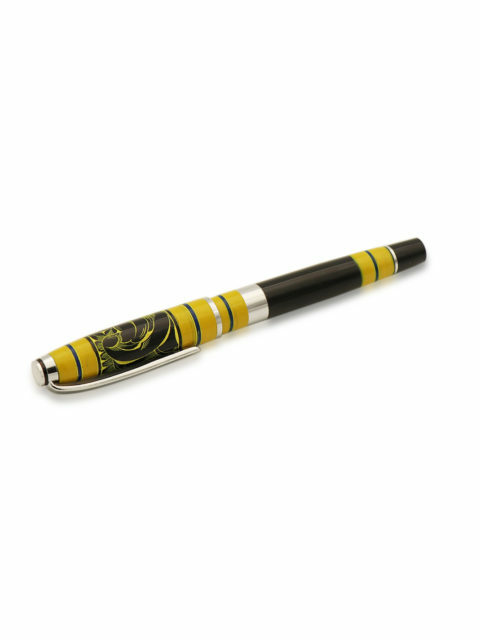 On the body, we see a plain stretch of black but contrarily the black band on the cap is adorned with the tracing of a flower in yellow. 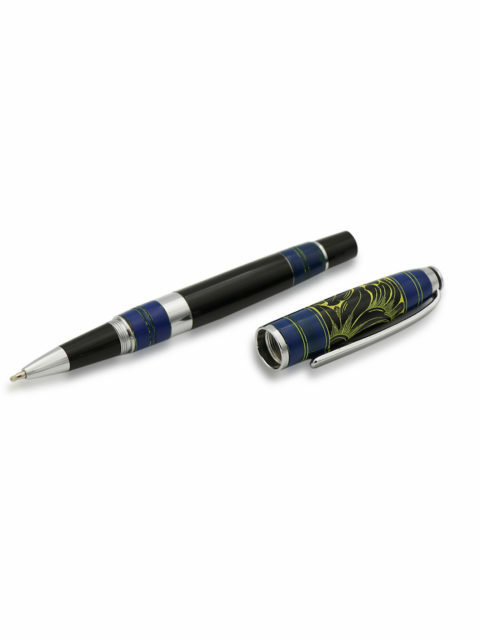 The pen features a design and color combination that instantly draws attention to itself in any environment. 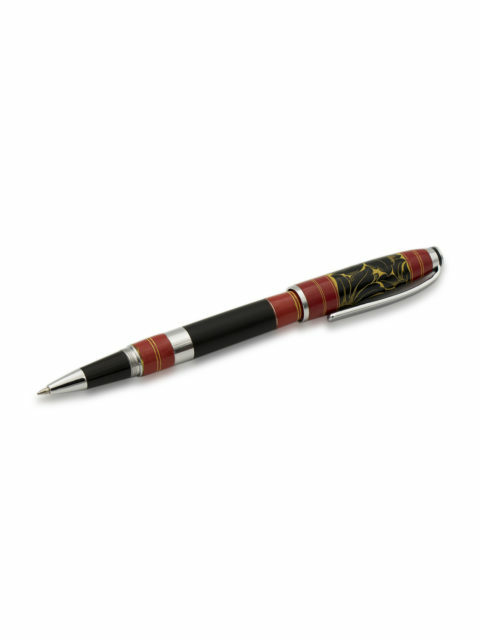 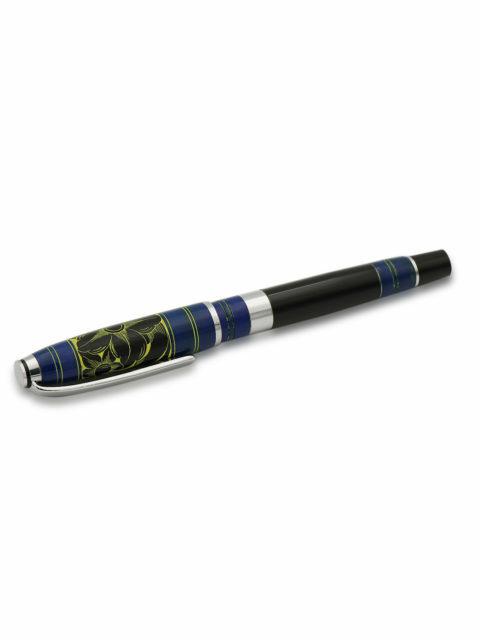 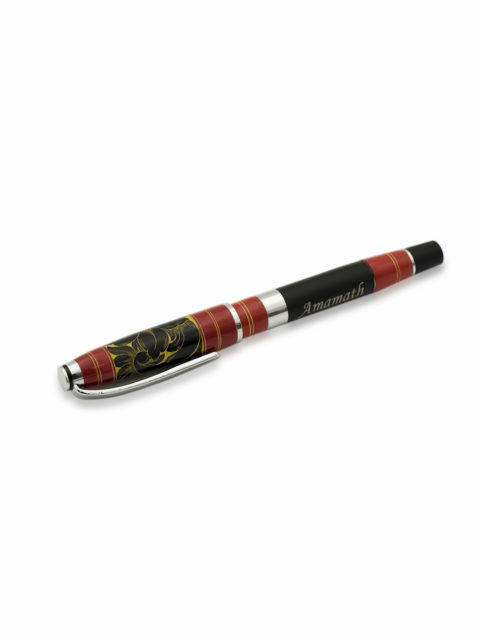 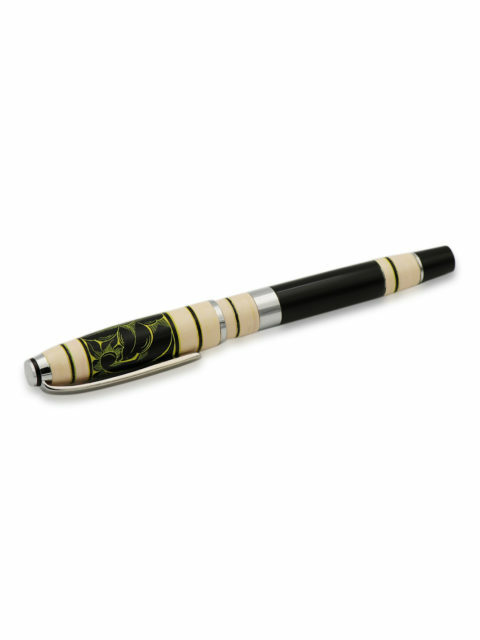 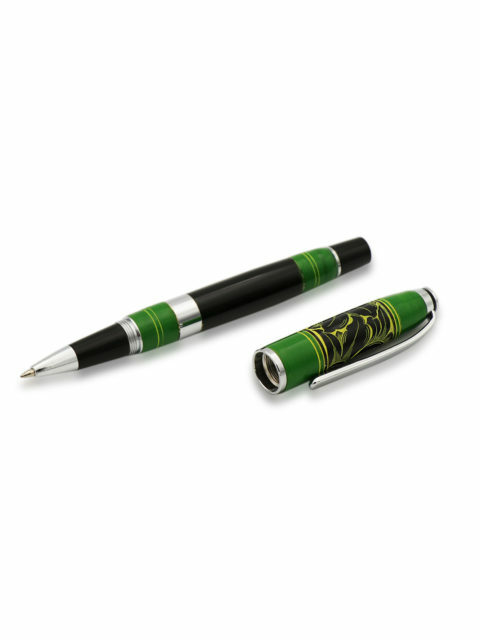 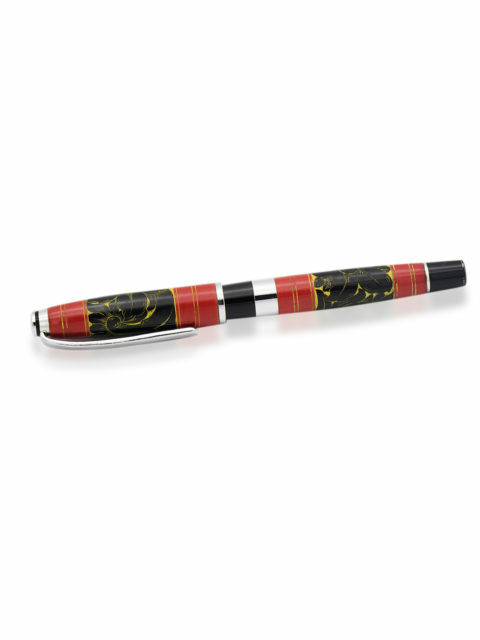 The design is reminiscent of the rich culture of the Maldives while the lacquered finish only further enhances the premium look and feel of the pen.